Within the United Nations , it is the responsibility of WMO to provide the authoritative voice on the state and behaviour of the atmosphere and climate of the Earth. To this end, the Atmospheric Research and Environment Programme department co-ordinates and stimulates research on the composition of the atmosphere and weather forecasting, focusing on extreme weather events and socio-economic impacts. 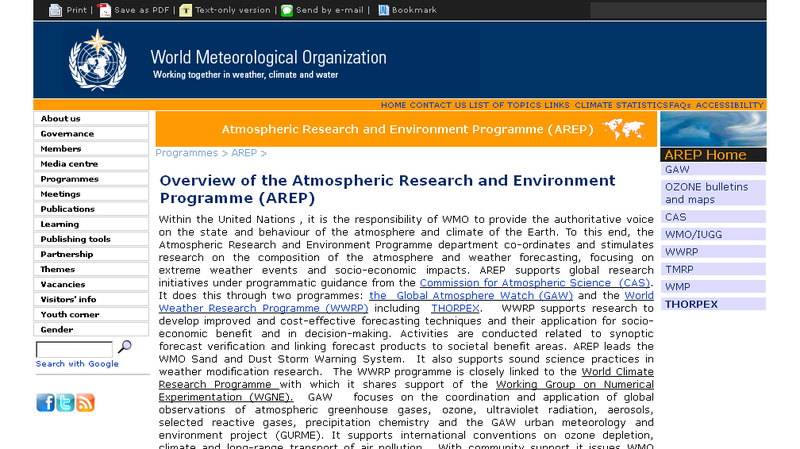 AREP supports global research initiatives under programmatic guidance from the Commission for Atmospheric Science (CAS). It does this through two programmes: the Global Atmosphere Watch (GAW) and the World Weather Research Programme (WWRP) including THORPEX. "The UNFCCC Secretariat has launched a Capacity-building Portal, a tool developed to help monitor and review capacity built to better mitigate and adapt to climate change. Users are able to customize search criteria, visualize data through interactive maps, bubbles and multicolored pie charts, line up results in tables and print them. More specifically, the portal allows for: reviewing the types of capacity-building support provided at the global, regional and country level; tracking specific project activities and programmes; identifying and building on best practices; and identifying potential gaps in capacity-building delivery. Users can also access information on stakeholders involved, funding sources and amounts allocated. Finally, the portal aims to help improve coordination of capacity-building support and determine possible cooperation partners." 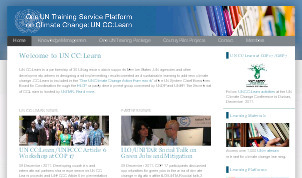 UN CC:Learn is a partnership of 30 UN agencies which supports Member States, UN agencies and other development partners in designing and implementing results-oriented and sustainable learning to address climate change. CC:Learn is included in the "One UN Climate Change Action Framework" of the UN System Chief Executives Board for Coordination through the HLCP capacity development group convened by UNDP and UNEP. 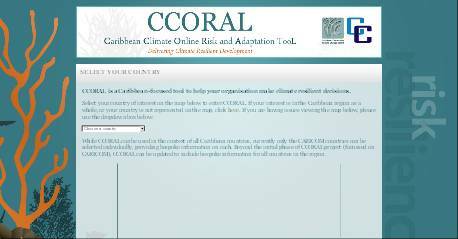 The Caribbean Climate Online Risk and Adaptation Tool (CCORAL) outlines a step-by-step process to identify if an activity, such as a project, programme, strategy, plan, policy or legislation, is influenced by, or vulnerable to, climate change. CCORAL then creates pathways for the identification and implementation of adaptation and mitigation options. CCORAL provides information both at the regional and country level. However, only the CARICOM countries can currently be selected individually when using CCORAL, although CCCCC emphasizes that it is possible to expand the tool to cover non-CARICOM Caribbean countries such as Cuba and the Dominican Republic. O Centro Internacional para Economia e Governação da Água em África (IWEGA) foi criado em Maio de 2009, na Universidade Eduardo Mondlane em Maputo. Sua missão é de reforçar as capacidades institucionais de Moçambique e de África para conduzir a pesquisa de relevância para os problemas Africanos na economia e Governação de água e aumentar a sensibilização dos gestores ambientais e econômicos, contribuir para a formulação de políticas de gestão econômica e governação de água para o desenvolvimento sustentável. This "Climate Action Tracker" is an independent science-based assessment, which tracks the emission commitments and actions of countries. 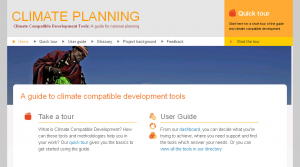 The website provides an up-to-date assessment of individual national pledges to reduce their greenhouse gas emissions. 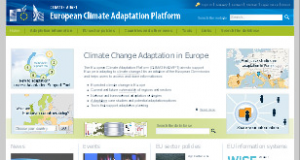 The European Climate Adaptation Platform (CLIMATE-ADAPT) aims to support Europe in adapting to climate change. 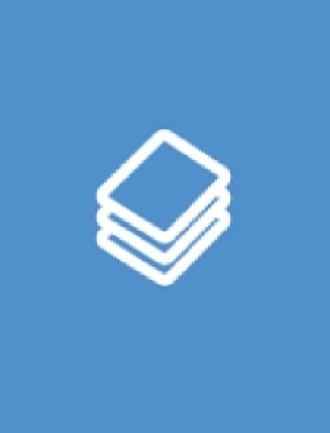 It is an initiative of the European Commission and helps users to access and share information on: Expected climate change in Europe; Current and future vulnerability of regions and sectors; National and transnational adaptation strategies; Adaptation case studies and potential adaptation options; Tools that support adaptation planning. 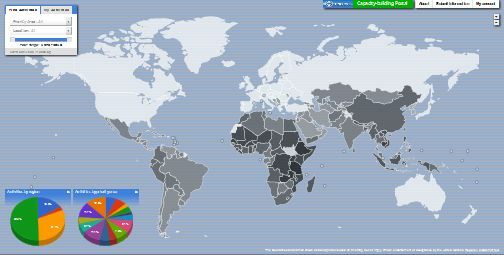 The Climate Change Knowledge Portal (CCKP) Beta is a central hub of information, data and reports about climate change around the world. The Kenya Climate Innovation Centre (Kenya CIC) is a World Bank-infoDev initiative (infoDev) designed to support the development and scale of locally relevant climate technologies in Kenya. Funded by UK Aid and DANIDA, the Kenya CIC provides incubation, capacity building services and financing to Kenyan entrepreneurs and Small- and Medium-sized Enterprises (SMEs) who are developing innovative climate mitigation and adaptation solutions. This project has been prepared in response to demand from a range of practitioners and government officials in developing countries, including demand expressed through members of the Coordinated Low Emissions Assistance Network (CLEAN). 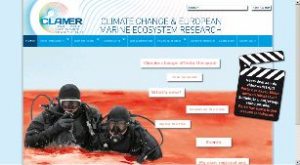 The climate policy tracker is a comprehensive review of policies of EU member states that affect greenhouse gas emissions. It provides an overview of the policy situation of each member state broken down by sector and policy area. In addition, it provides a rating to measure the impact of these climate policies, via 83 indicators. The indicators do not only measure whether policies directed at emission reduction are in place, but also whether counterproductive policies and barriers for emission reduction are adequately removed. Le premier observatoire francophone du changement climatique. Un site destiné à tous celles et ceux qui souhaitent approfondir leur connaissance et leur compréhension du changement climatique en cours.